From Lay Dauk Kan Road near Thingangyun Zawana Citymart, enter gate number 3 of Thumingalar Housing compound and drive straight. After 2 junction, you will see us at your right corner. Our mission is to integrate design and life-style into flooring solutions to create more productive, cost effective, full satisfactions with safer spaces that are aesthetically pleasing to our customers’ economic success. We strive hard to recruit enough service team members and knowledge based experience to meet the immediate need of our customers to provide harmonized quality service in order to become into one of the region’s leading service providers of exemplary contractor in the market. We are able to work with a large pool of general contractors and major commercial facilities. SINPAUK services continues to provide measurement and cost estimates, quality product with best services and weekend installations or requested time of installation to all customers. 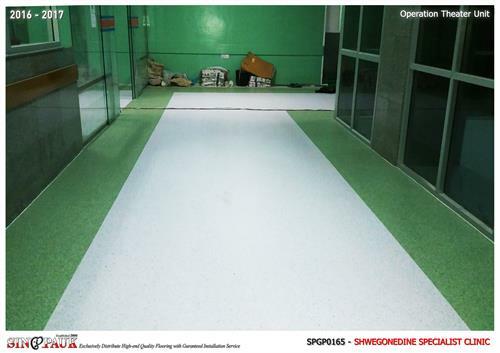 If the need arises of our serviced projects, can call SINPAUK for all of your flooring needs.